In the digital world, web design is the ultimate necessity for any kind of websites. This includes a lot of skills and requires a lot of maintenance as well. There are various areas of web designing such as graphic design, interface design, search engine optimisation and many more. Primarily web design includes the designing process related to the client-side design. Web development is the work mainly involved with the pages being developed for a website. This part requires web engineering as well. This development includes writing markup and coding. 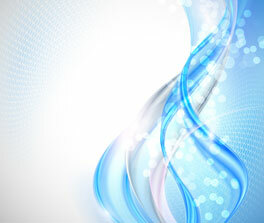 Learning the web development design will help you to enhance the visual display of the content. This is only plausible when you know the designing process like the palm of your hand. You need to make the look of the website more refined through extensive learning and innovation. The designing skills can lead the web developers to develop some of the wonderful websites that can amuse the netizens. : For your business to spread among the masses, you need to bring some real depth in the site. You need to give some realism to the website. The harder part is that material designing will involve some amount of complex coding. However, the designing part gets easy, and as a matter of fact your website will look really awesome. For every web design, one needs to keep in mind that you should design the web content in such a way which is compatible both for desktop and mobile versions. This would assist you to attract a wider audience for your website. So, it all depends on the developers’ side who can pull off an incredible design in order to make a difference for their clients. - Multimedia have been a sensation for a decade now, and with time, it has improvised only. Nowadays we prefer a single page mixed with multimedia content, and this has been possible with the most excellent web developers. Therefore, in order to build such pages, one needs to be really expert in the designing and programming part. Hence it would also prove to be fruitful in different sectors of the industry. There have to be some images on the website which would draw tremendous attention. For this, we require graphic designers and the designers have to really capable or worthy enough to bring in some customized images on the web. With the web pages displaying videos and animations, the designers have changed the dimension of the web page. This helps to enhance the uniqueness to the web platform. The designers have been working hard to take the minimalism to a new level along with the card concept which is like the entry points on the website. This also acts as an advertising strategy which ultimately leads to other sites once you click them. This helps in the consumption of less space as well. : Web developers need to incorporate the conversational user interfaces such as chats, IM or other forms in order to spread its access to other bots and companies. You need to learn the details for the web development which would promise you high performance for your website. This would increase the loading speed of the web content. The developers need to learn image optimisation as well in order to keep in mind the space used. This would also help you to garner huge hits.